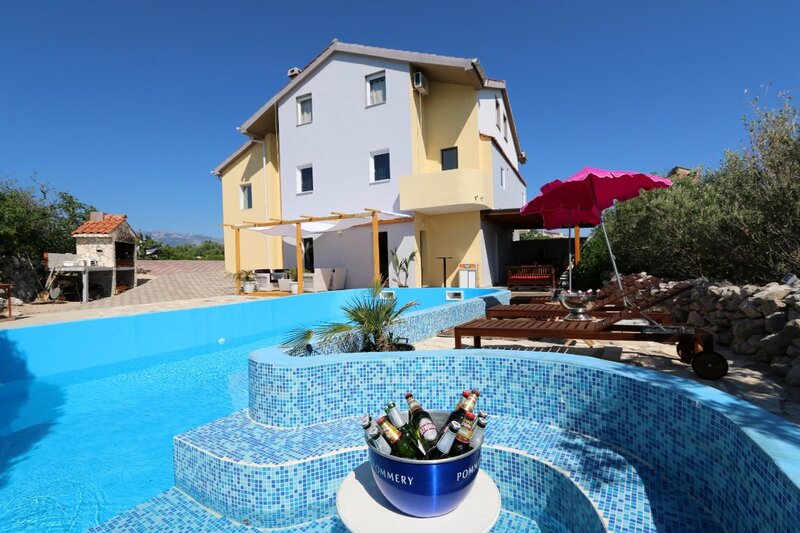 Offering an outdoor pool with a sun terrace, Guesthouse Crazy Night is located in Novalja. Free WiFi access is available in public areas. The property is 1 km from the Adriatic Sea and a 3-minute drive from the city centre. The property offers air-conditioned dormitory rooms with a shared bathroom. A common kitchen is at guests' disposal. At Guesthouse Crazy Night you will find a 24-hour front desk and a garden. Other facilities offered at the property include a tour desk, an ironing service and laundry facilities. The property offers free parking. Trajektna Luka Ferry Port is 8.6 km from the guest house and Zadar’s city centre is 76 km away. N +44° 33' 42" | E +14° 53' 3"